For most people, step one of creating a January reset involves a lot of nixing; it’s all about what not to eat. 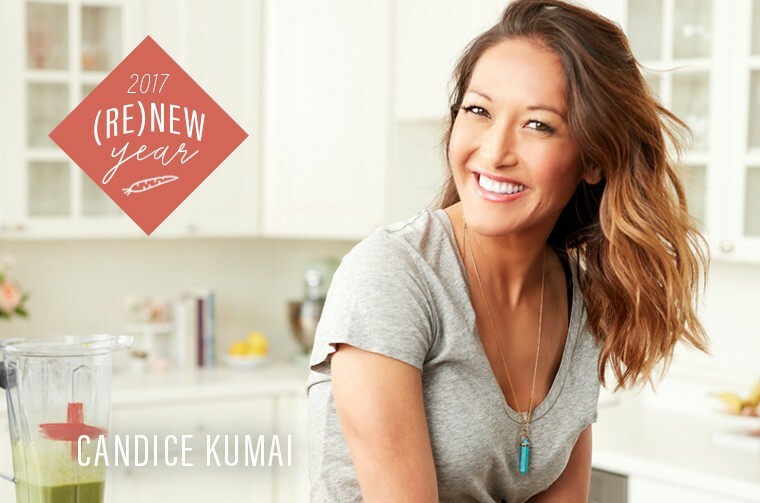 This year, instead of feeling restricted, I want you to feel healthy from fermented ingredients and super-charged from all the anti-inflammatory foods you’re about to cook. Sounds a bit more doable and freeing, right? You’ll still get to eat dark chocolate and creamy, vegan mac and cheese—which will make you feel nourished, not gross. And to drink? Delicious and satisfying smoothies that will keep you feeling full and fresh. I am also going to share with you my secrets to ramen, miso, macrobiotics, and even chocolate peanut butter cups. I’m excited for 2017 to be the year you finally try something new and get cooking to care for—not restrict—yourself. My whole life, I struggled with restricting myself. Yes, I am a sugar addict. I was always eating on-the-go: My diet consisted of sweetened yogurt, sugar-y creamer in my coffee, sneaking cookies and processed cereal bars between takes at work, drinking sweetened lattes and fraps from Starbucks, and a lot of eating out. The subsequent inflammation was causing my skin to for-real break out. More and more research is proving that inflammation (yes, that pesky word again) is the root cause of many of our health problems. The added bummer for each of us is that added sugar is lurking in almost everything we like to eat—from pasta sauce and dressings to bread. Yes, even all those bottled juices fronting as “healthy” are packed with it. Two years later and—with some changes and cleaner recipes—I’ve completely tapered off the sparkly, sweet stuff. I did it because I wanted to boost my immunity and mood all while getting more energy—and I want you to reap the same rewards. Over the next five days, let’s kickstart the best cleanse ever. Ready to go? Check back for the clean meal plan #1 tomorrow—and don’t forget to show us how you’re celebrating the (Re)New year with #iamwellandgood! Well+Good’s (Re)New Year is a 5-week, expert-led program that isn’t focused on changing you. (Let’s be honest: You’re pretty great as you are.) Instead, it’s all about rebooting and reestablishing habits that will help you have your happiest (and healthiest!) year yet.